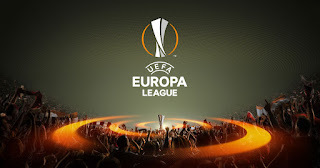 With the Europa League draw a month away, things might seem early to discuss who Rangers will face in round one, but nevertheless Steven Gerrard will be taking all potential opponents seriously so it’s worth checking out who Rangers could be taking on regardless. In terms of the familiar sides over the sea, Northern Irish cracks Cliftonville and their Republic counterparts Shamrock Rovers are there as always, with Derry City in attendance as well. The highest ranked side confirmed in round one as potential opponents are Icelandic outfit Stjarnan FC, but there are another 10 places up for grabs as well so it will get tougher. Fancy a trip to Malta? Birkirkara lie in wait as one of the higher seeding sides but had to get through a preliminary round first, while Montenegrans Buducnost Podgorica are also ready to face off v Rangers if need be. Sides Rangers will avoid include Andy Halliday’s old stomping ground in Gabala, Maccabi Tel-Aviv and Partizan Belgrade. The draw is on the 12th of next month with matches being played at the end of the month on 28th June. Agree. A derby match against on of the Irish teams should have the team hitting the ground running! Yeh Stevo. Destroy the teachers, boilermakers and hairdressers of progress Niederkorn. Show the world we mean business!! LMAO. And beating Craggy Island Sheepshaggers will really wind the Tims up. I can just see them crying into their champagne. If, and only if, we reach the Europa League Quarter Finals will I take any of this seriously. It cannot get any worse! Looking forward to next season already.